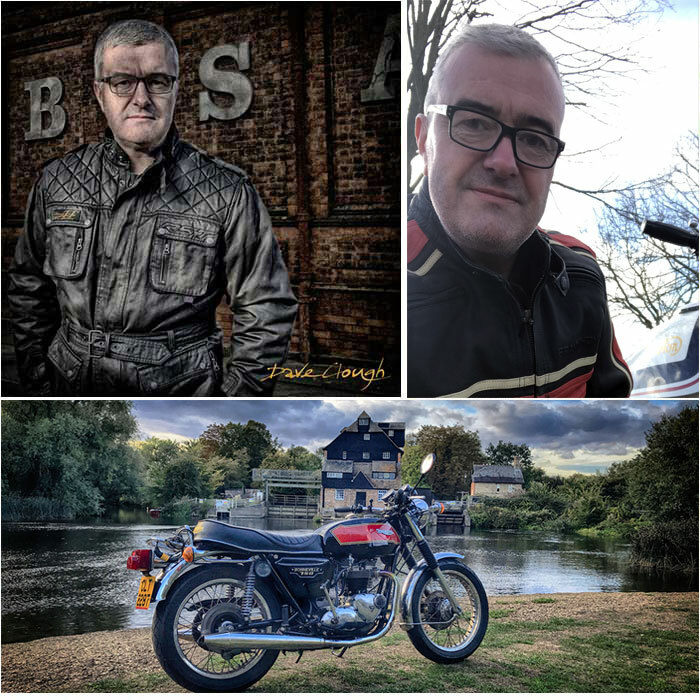 Hi, welcome to my smallwebsite, I've ridden motorcycles since the age of 17, As i enter my 50's I spend my evenings returning BSA Bantams to running condition. 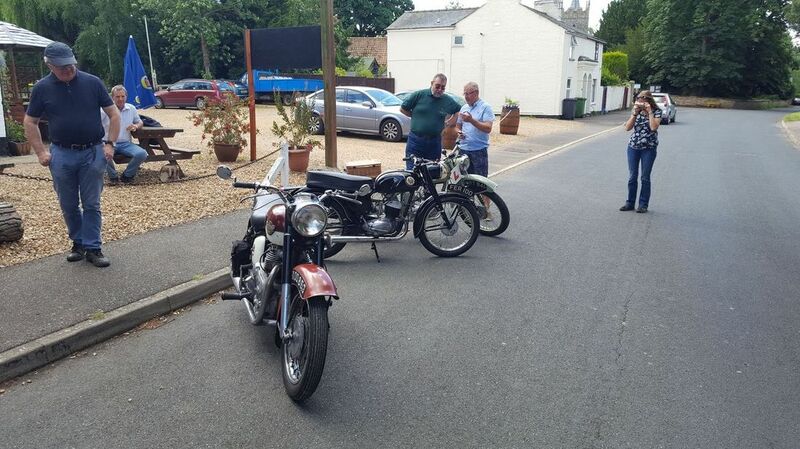 Once their up and running I then potter around the villages of East Anglia. 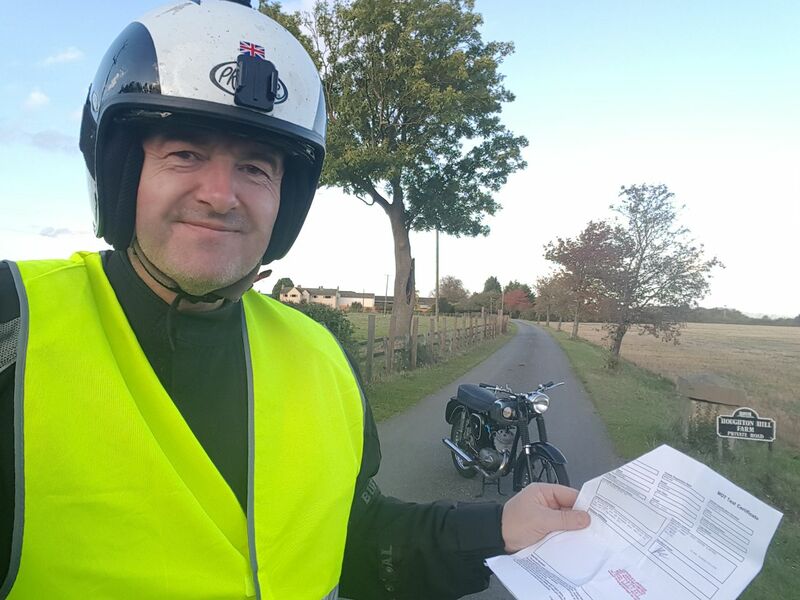 I'm extremley fortunate to own six motorcycles, and when the weather warms up I travel into Europe, travelling the roads of France, Belgium, Italy, Germany, Austria, Switzerland. Over the years i've stayed in some wonderful B&B's, tried camping but, I am simply too old and knackered to camp. 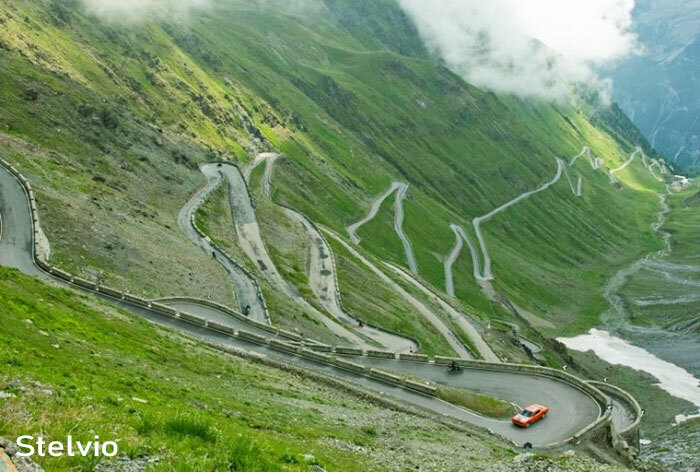 Theirs not many A or B road between Calais and Italy that I haven't ridden. 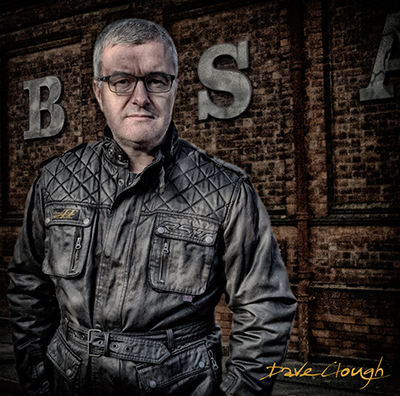 I'm self taught when it comes to mechanics and electrics mainly through the use of Google and YouTube and of course the many bike forums. 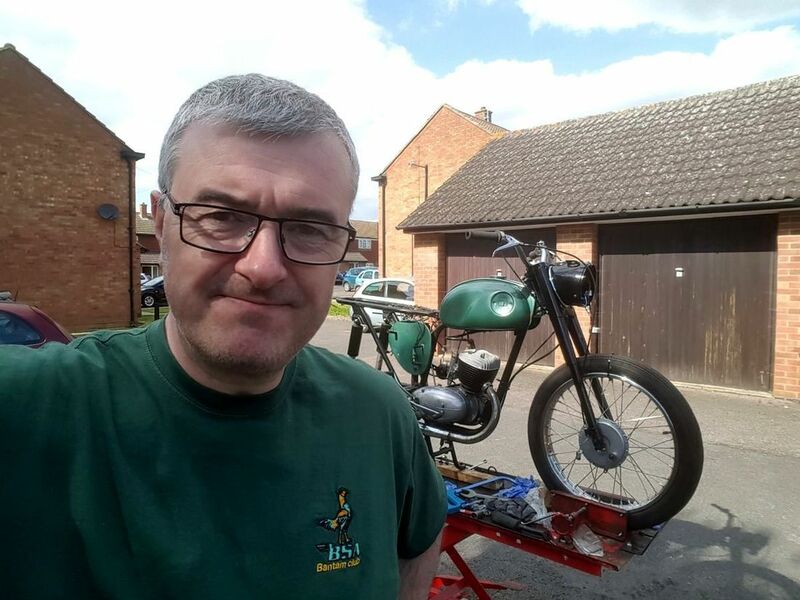 When I'm not riding I'm slowly getting my small BSA motorcycles restored. Gallery - Last Year (2016) In Pictures. Read more: My Year So Far ! Thursday 30th June - Last Day of June and it's raining AGAIN ! Washed the Kawasaki, and booked it in for an MoT tommorow. 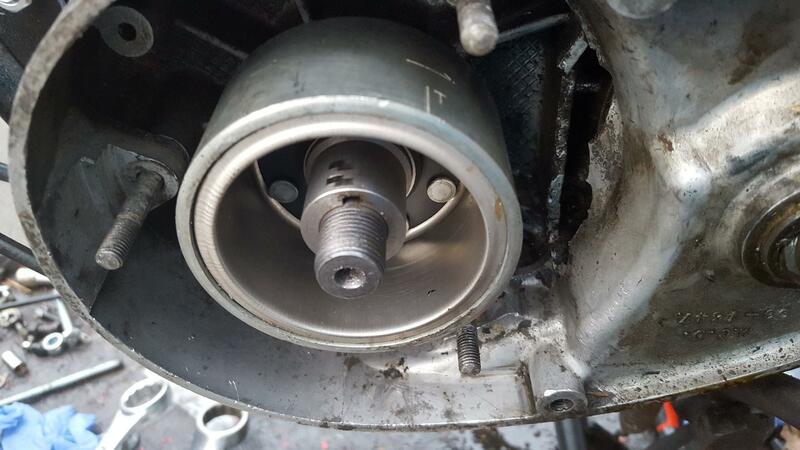 Started to look at some random posts involving CG125, engines and frames being fitted into the Bantam running gear. 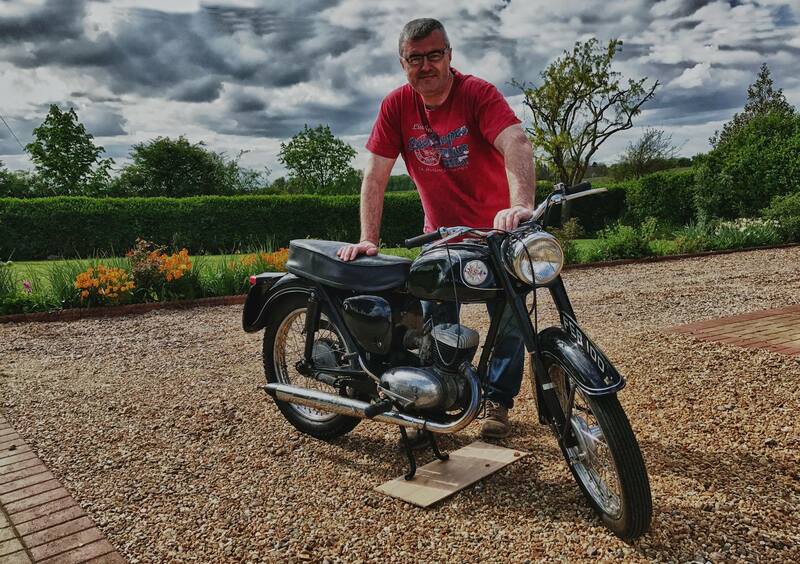 Whilst I several engines undergoing various stages of restoration, I fancy trying something a little different. I had thought about a diesel engine. 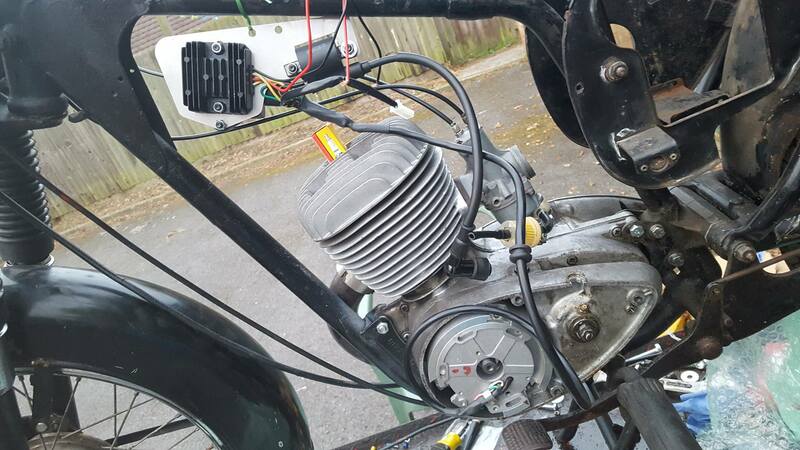 The photo below is a bantam with a leader engine and EN125 forks. Must be a challenging ride. Spoke to the Crome company, they will dip the rear rack to allow painting / plastic coating. I am stuggling without luggage ability. 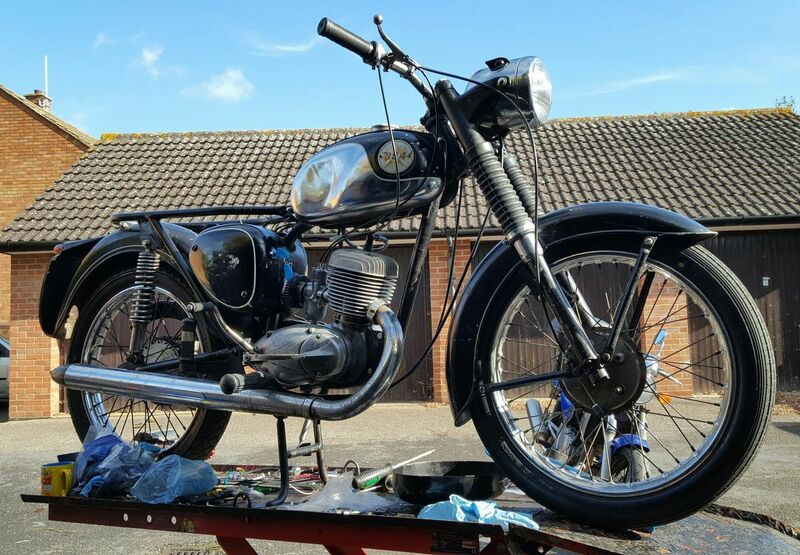 BSA Bantam B175 - Restore To Running Condition. 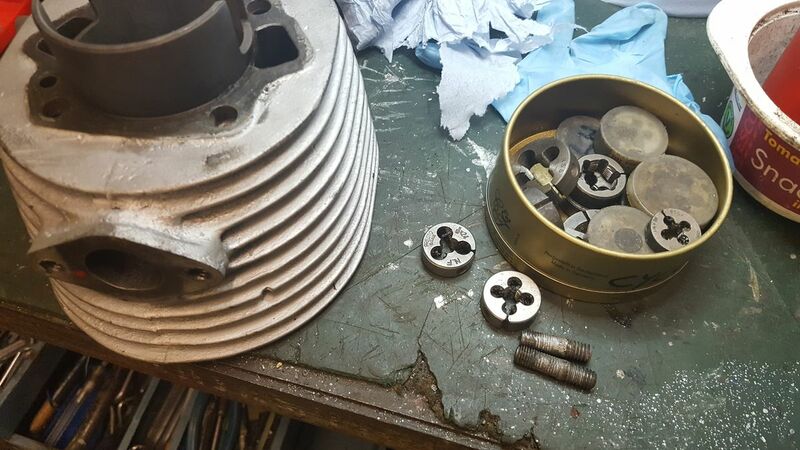 Spoke to Nick Bramley - Rusty Rooster garage, and a rebuild of the B175 crank will cost a very resonable 175GBP. 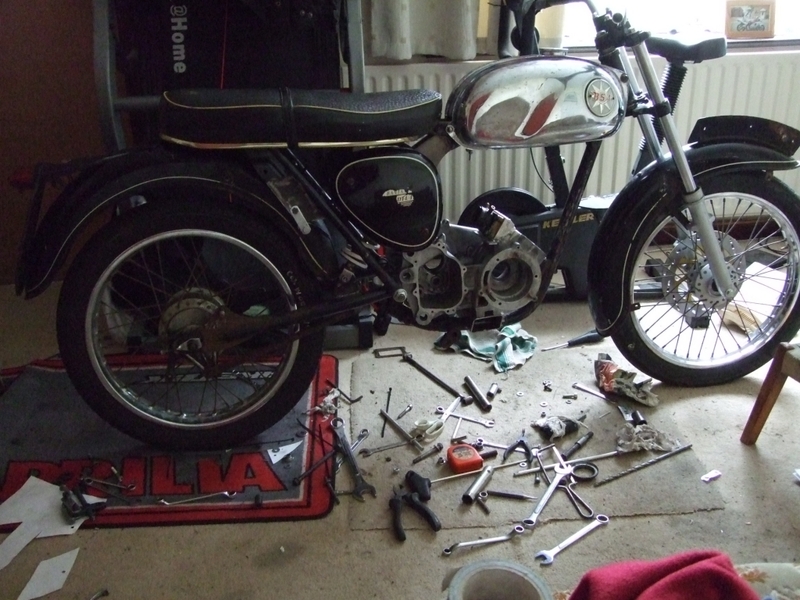 I spent the evening down the garage, struggled to get a new primary chain fitted on the B175, but did it eventually. I then did a dry fit of the Bones Cdi to the B175. Purchased a primary chain from Rex caunt. Expected later this week. Below is a video showing a brief assesment of the engine, and the work ahead. 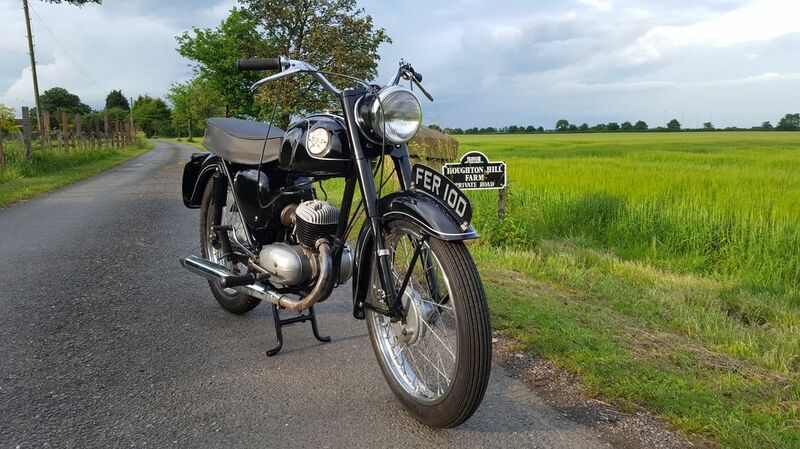 Read more: B175 - "Sunset"
I didn't deliberately set off with the intention of buying so many,I bought my Triumph Sprint 1050 to tour europe, after dipping my toe into Northern Europe ( Normandy ) on a Yamaha XT660x. 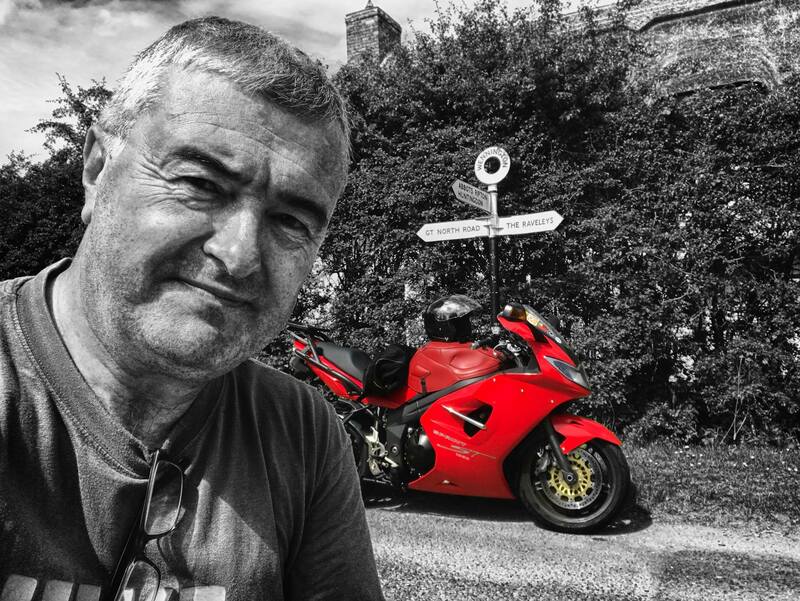 When I looked at a sports tourer ( 2010 ) it was a toss up between Hondas VFR and the Sprint ST1050. I got caught up in the nostalga and heritate of the Triumph Brand. 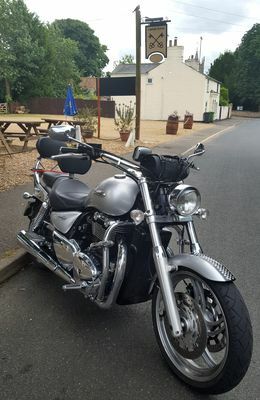 I bought the Thunderbird from a mate who needed some money quickly to pay a third party. It's not a bike I'd have chosen out of the showroom, but have over the years come to appreciate just what 1600cc's feels like to ride. it's certainly a competent and powerful cruiser, I've taken it as far as Northern Belgium and explored the battlefields of world war one. I bought the Kawasaki as a commuter, and winter bike, or to be used when the weather is likely to be too bad for one of the Triumphs. 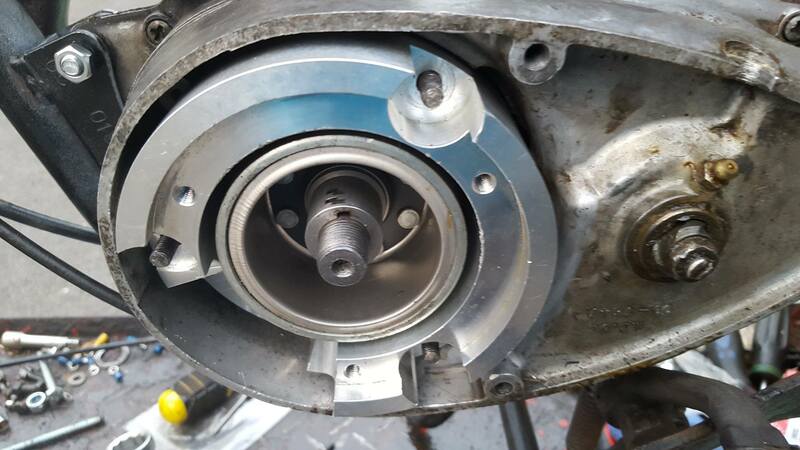 I wish my Triumphs gearboxes were as smooth. todate ( Jan 2016 ) this small, some say underpowered bike has not missed a beat. 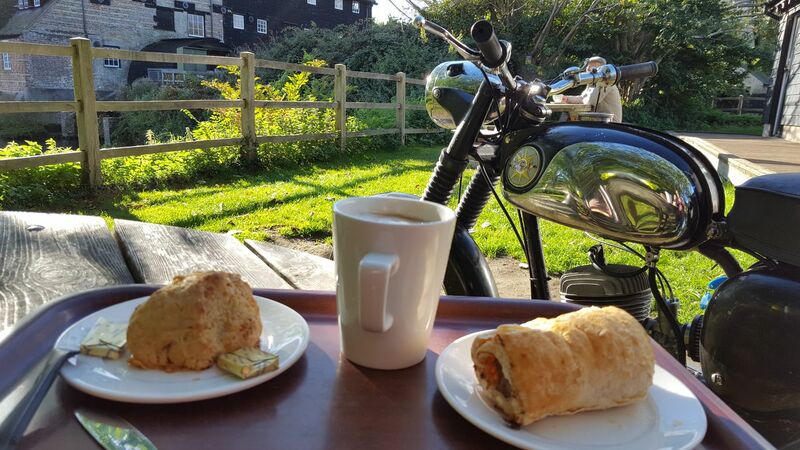 It's easy to service, parts availability is good, and as it's based on 1980's tech ( being carb ) it's very simple to look after. Annually I change the plugs, oil and filters. Anyone owning this or a GPZ will tell you it's not the smoothest of bikes when ticking over, but I've taken it into North Wales and the south coast and throughly enjoy riding this bike. I don't have a general preference for any one over the other, I like them all. I Throughly enjoy riding at speed and bimbling along the fenland B roads at 40mph. Each year i travel around 18,000 miles between Feb and October. Many of these miles are in Europe, I travel five to six times over the spring and summer months. On my links page you'll see the B & B's and accomodation that i recommend. Mini trip advisor. 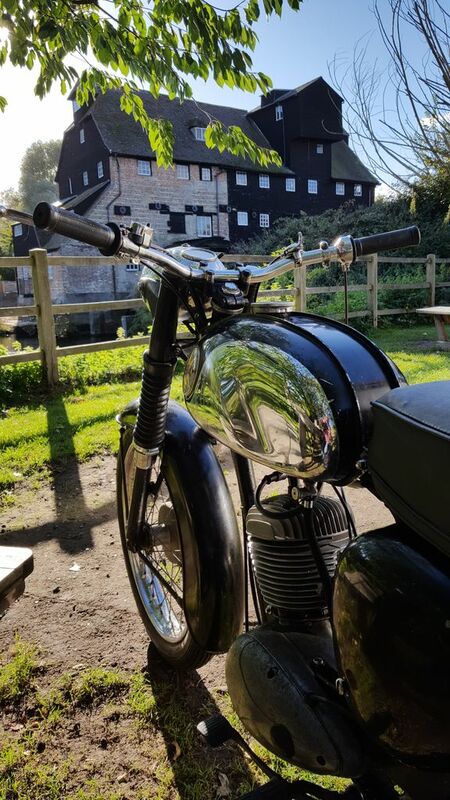 I've owned my BSA 1966 D7 Bantam for about three years, and despite fitting extra strong springs, and Rex Caunts latest plates I've always suffered from clutch slip. With a brand new Amal, and a Bones CDi I felt that this was the achiles heel of my rolling restoration. I was aware of a mod used by those that Trail ride bantams that involved using a Bultaco or Yamaha basket. But no amount of Googling would return any results. 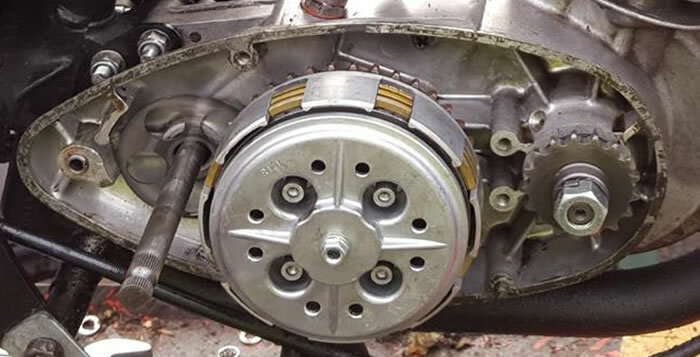 One evening whilst surfing I spotted a post on the BSA Bantam forum showing a Yamaha clutch basket modified to fit the BSA Bantam. I contacted the poster and within the hour email and phone numbers were exchanged. The following evening I contacted to Engineer responsible for the creating the modified basket. 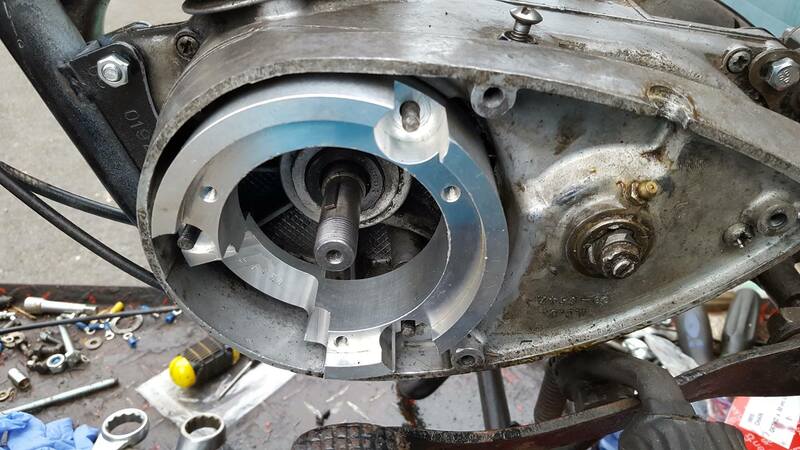 Over a weekend I proceeded to fit the new clutch to the Bantam. 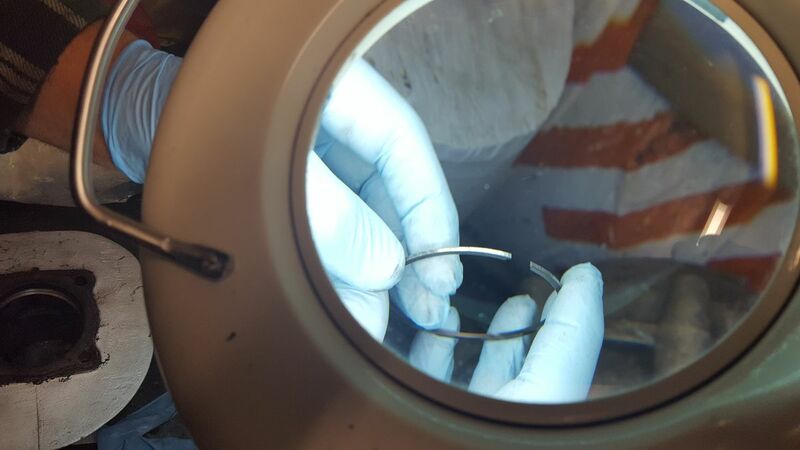 Here's a photo essay of the fit, and post fit tuning. This covers a D7 66 fit. Proceed with extreme caution - I put it here as an aide. I am not an expert, and one should not attempt this mod without the appropiate skills. Do not sue me - you attempt this at your own risk.